Latest reviews from Anandtech.com and Insanetek.com. Gigaram releases memory for SUN Fire V40z. 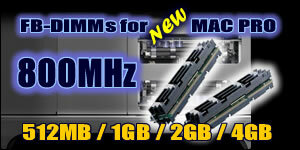 Gigaram releases Ultra Low Profile DDR2 DIMM. Aftermathreviews.net awards Gigaram 5 out of 5 stars. Gigaram has acquired NEW SUN Micro system Patent License. Gigaram's PC3200 memory receives Editor's choice Award.